SO...YOU WANT TO PLAY WITH OBI-WAN KENOBI? YOU DO SO MANY THINGS ON THIS PAGE! THERE IS A PUZZLE YOU CAN PLAY WITH OBI-WAN KENOBI ON THE BOTTOM OF THE PAGE! HAVE FUN! 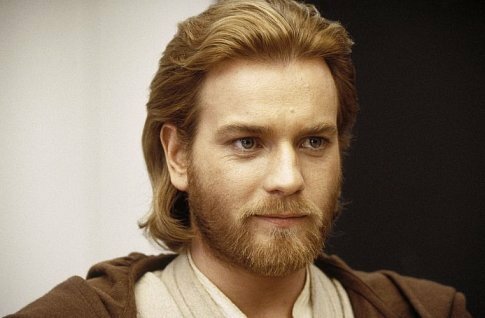 My name is Obi-wan Kenobi. I am a Jedi Knight. I was trainnied with Qui-Gon Jinn. I been called here because you help or advice on things about life, friends, love life or things that you are concered on Star wars. I am here to help you, don't hole back you're question. Let the force help you to releave it from whatever it may be. Please feel free to join. Do you have a question that's you always had in you'r mind? You need advice or help? Well, this is your chance to ask Obi-wan Kenobi. If you have a hard question to asked don't ask it, he may sometimes not know the answer. He may not be good to give adive on love but he will look into the force and try his best to answer you're questions. So don't hold back you'r question! Just ask! He will answer back!